These 4 shots were taken about 3 days after the last update so not much has changed, you’ll see the flight feathers are more developed and they are growing quickly. 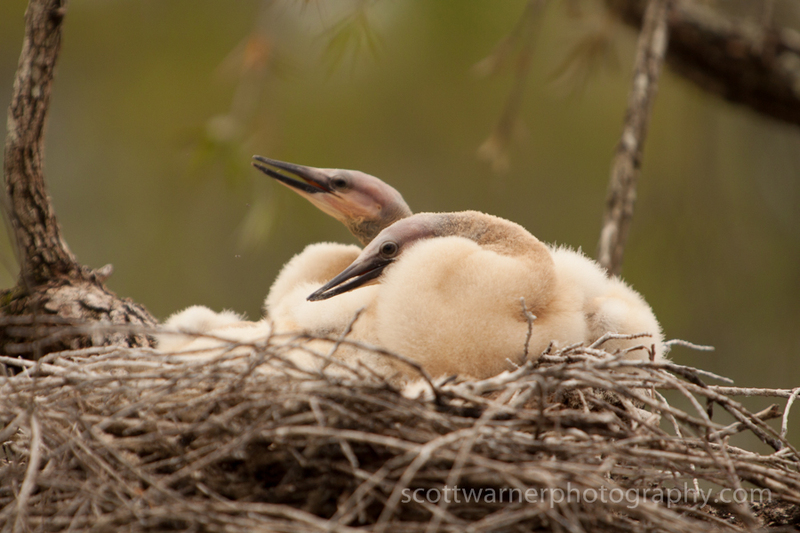 These were taken in the late afternoon and the birds were less active than they usually are in the mornings. The mother is usually sitting somewhere nearby but I don’t think she still sits on the nest any more as there is no more room. 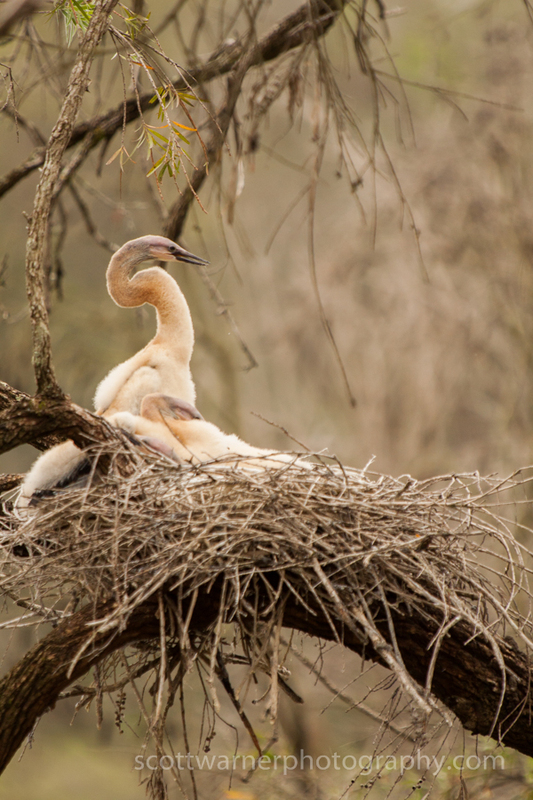 According to Birdlife.org.au the babies can swim after about 4 weeks and start to fly at around 50 days so some exciting times ahead. 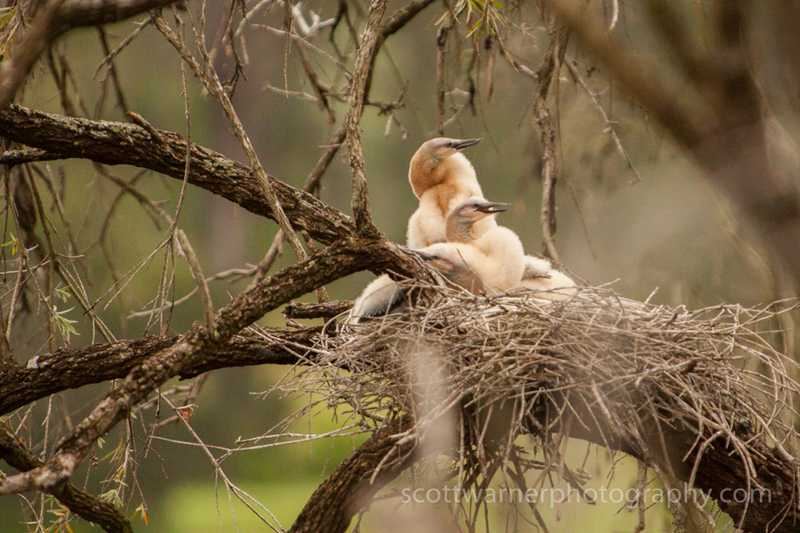 They have started exercising their wings in the nest but I haven’t yet managed to get a shot of that. For the most part the babies just spend their time resting with occasional bursts of energy where they will preen, or flap, or have a little scuffle with their siblings. There is one chick who always seems to be more developed than the other 2, it is often more alert and watching what is going on, spend more time exercising and pestering its siblings. The smallest of the chicks seems to seldom get up unless Mum is nearby. There was at least one other chick in the clutch initially but one had fallen out of the nest early on and had gotten caught in the branches and died there. Now that they are a little older and more independent, I have ventured a little closer to get some detailed shots of their heads. They get a little agitated then I back up a bit until they settle. They are amazing birds close up, especially when they are backlit and you can see some of their underlying neck anatomy. 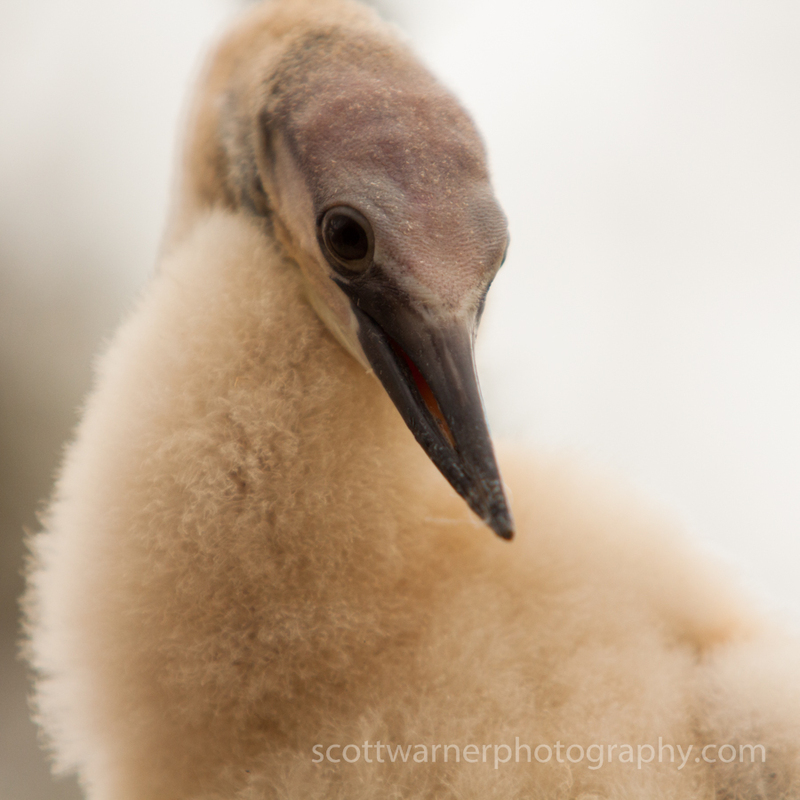 Here is a cute head shot of the largest of the chicks who is the most active and inquisitive.